Sure, he was the president of the free world, as they say, but we think he's reached a real cultural milestone here with this deluxe Barack Obama mask! 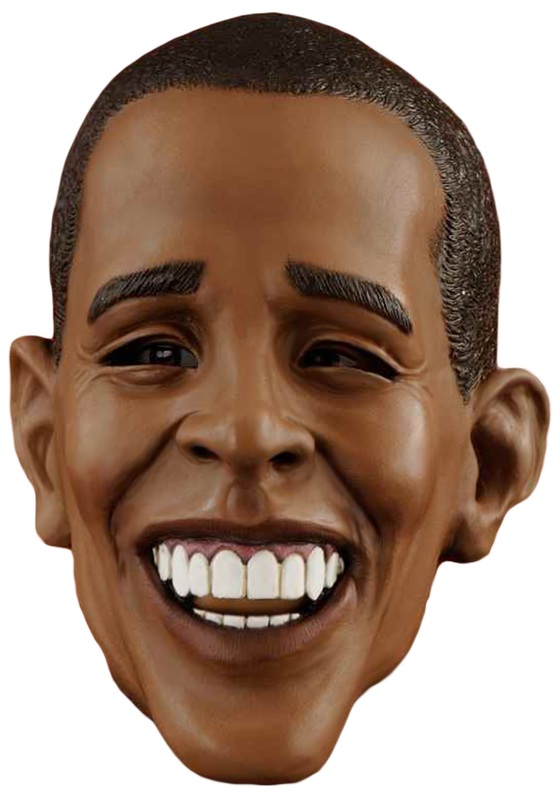 How many political figures become iconic enough for their own mask? Not many, so he should be proud. But the best part about wearing this mask? You don't actually have to run a country like the real Barack Obama has to (as well as you think you might do, just no). Just think: you don't want to worry about the budget of 300 million diverse people, or about the health and compensation of the elderly, or the educational outlook for many future generations, or the defense of the entire nation from threats domestic and abroad. Yeah, see? Don't you want to sleep well at night?! You can just party and leave all the tough work to the real one.